Our DCU Mercy U20's team is entered in the U20 National Cup this season. As there is currently no under 20's league they will be playing in the women's Division 1 league this year. The team fixtures will be updated in the coming days. We wish the team the best of luck in the cup. 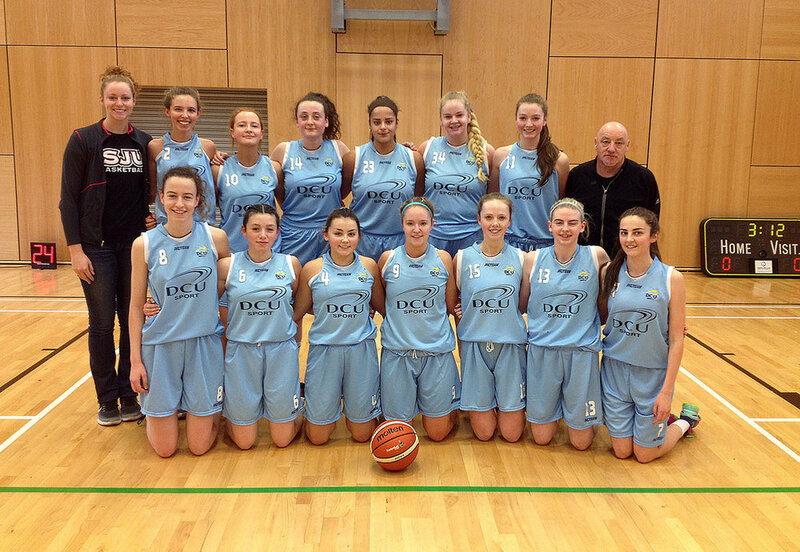 DCU Mercy's Under 20 women's team played WIT Wildcats on November 12th in St. Pat's College, Drumcondra. The final score was 58 - 20 in favour of DCU. After a slow start, scoring only 18 points in the first half DCU Mercy got into the swing of things in the second half. Everyone stepped up a gear with all players contributing to the score line. DCU Mercy's defence was outstanding putting Wildcats under pressure of the 24 second clock violation throughout the game. The win sees DCU Mercy move into the next round of the National Cup. The next fixture will be updated as soon as it's announced. If you have any questions or queries relating to the DCU Mercy Under 20's girls team, please don't hesitate to fill in the form on the right and we will get back to you as soon as possible.